Dr. Terry R. Irby was born on May 23, 1949 and passed away peacefully on October 23, 2018. She gave her life to the Lord at an early age. 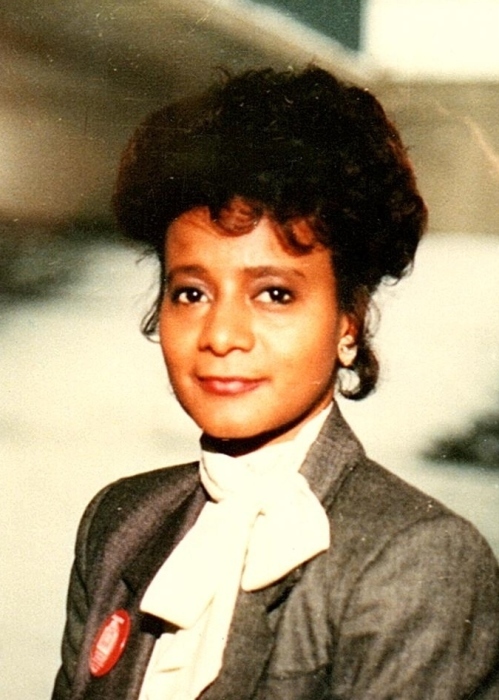 Dr. Irby had a passion for education and learning which led to educational achievements including an Associate’s Degree, Bachelor’s Degree in Elementary Education, Master’s Degree in Reading, Master’s Degree in Rehabilitation Counseling and a Ph.D. in Higher Education, Academic Administration. Dr. Irby was preceded in death by her husband, Attorney Harry James Irby, her parents, John and Alice McEwen, her siblings Bridget Churchill and Eric McEwen. She leaves to cherish her memory; her three children, Harry Vincent Irby, James Courtland Irby and Traci (Craig) Phillips; 3 grandchildren, Christian Phillips, Courtney Phillips and Caleb Phillips; three sisters, Ingrid (Clyde) Snapp, Alice McEwen and Pam McEwen; four brothers, John (Azalea) McEwen, Dwight McEwen, Anthony McEwen and Stanley (Sheila) McEwen; sister in law Tammy McEwen; a host of aunts, uncles, nieces, nephews, cousins and friends. Special thanks to longtime caregivers Loretta Mueller, Millie Henderson and Dalia Blank. Funeral services will be held on Sunday, October 28 at Mount Olive Missionary Baptist Church, 1710 Carey Street in Joliet. The wake will be from 3:00-4:00 and the funeral will begin at 4:00. Repast will immediately follow the funeral. Arrangements entrusted to Cage Memorial Chapel & Range Funeral Home.